Hello Friends ! Today we are going to discuss on How to get control on our child's mobile. यानी हम अपने बच्चों के मोबाइल पर कैसे कण्ट्रोल रखें. 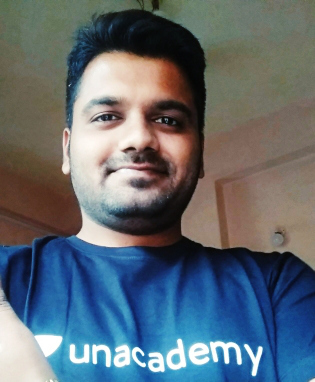 Today I am going to write this post in two languages that are Hindi & English. दो भाषाओ में आज मैं यह पोस्ट लिख रहा हु. I hope you'll enjoy this post. Just read carefully. We know that today is the age of technology. We and our children can not live without technology. I do not know if you can survive. Children 2 to 3 years of age now as mobile, tablets, laptops seem to try to operate. But what often happens in our absence, our children have come to use our mobile. And access to the websites are adult. Any parent would not want their child to be on the wrong site or the wrong mobile application to him. 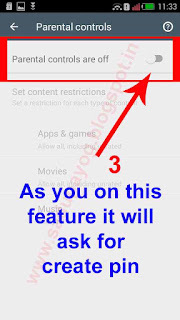 Here I am giving you some of the tips you can use and can get restrict yours or your child's mobile to get access any adult content in Google PlayStore or any App which is downloaded by PlayStore.. Just follow all the given steps. 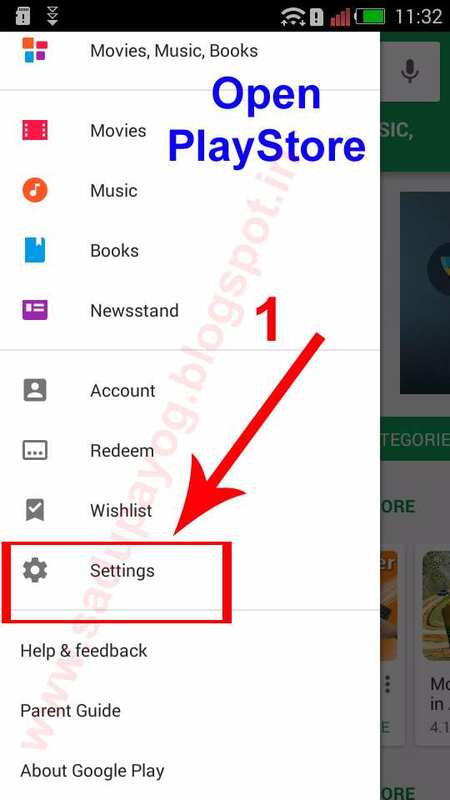 So let's Open your PlayStore first and then go to setting, which will look like the Screenshot given here. 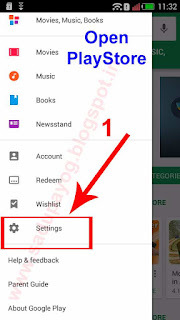 सबसे पहले आप अपने Google PlayStore Open कर लीजिये और Setting में जाईये. 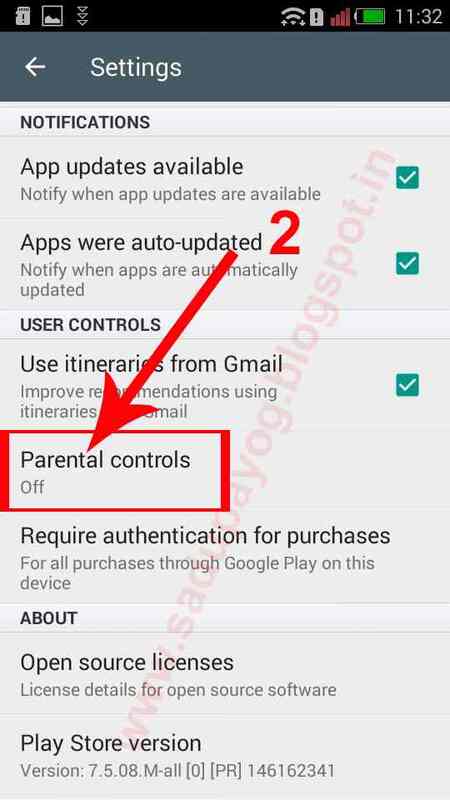 Now go to settings and Find out Parental Control Option. Just Click on it. As you enable this option it will ask you to create a pin. Just type your secret pin code and twice. 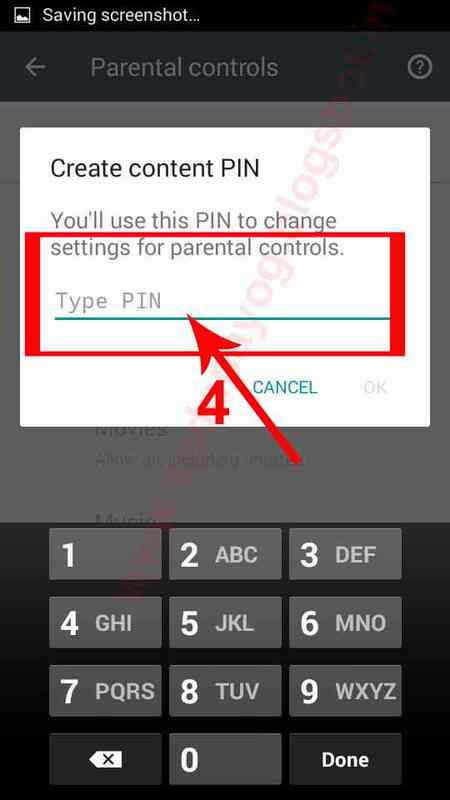 And remember that do not create very simple pin which can be easily guessed by anyone. And also do not forget this pin. You can write somewhere your pin. Now you can select any of the features which you wanted to restrict. Suppose that you are selecting Apps & games. Now you can select the restriction of the particular age. If your child is of 12 years old then select that option. 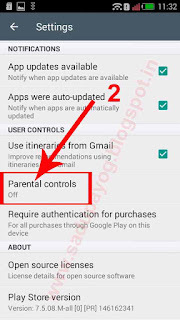 If you select this option you see Apps&Games in Play Store which is only for 12 years age below the child. We can not get access to the apps & games which are for 18+ years old. Even Adult ads will not appear while playing the games. 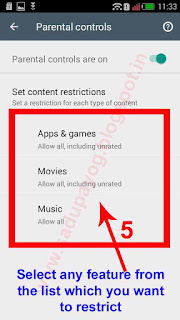 Suppose I am 18+ years old and wanted to get access to all types of Apps & Games in Playstore then select the last option Allow all, including unrated. So you can get access to all types of Apps&Games in Playstore. So Friends If you like this post then please do not forget to share or comment on this post. I am coming with my new post very soon. यदि आपको मेरी यह post पसंद आई हो तो please Share या Comment करना बिलकुल न भूलियेगा | मैंने जल्दी ही आपके लिए एक नै पोस्ट लेकर आऊंगा | तब तक पढ़ते रहिये आपका और मेरा ब्लॉग Sadupayog [Best Hindi Blog]. Thank you & Bye.